I love these double layered flowers. 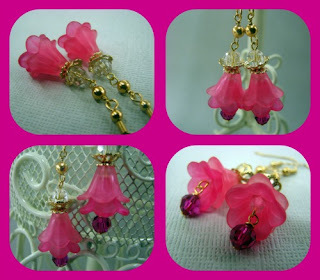 I added a hint of fuchsia and crystal in Swarovski. Beautiful aren't they? Bohemin Sin is the winner! Thanks all for entering and keep popping in for more contest and giveaways. I'm giving away the earrings of the day, a pair of my Flower Blossom Fairies. If you would like to enter to win just make a comment below. 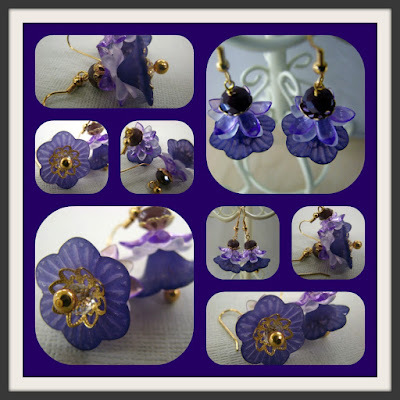 Help spread the word about this giveaway and earn additonal entry into the drawing. 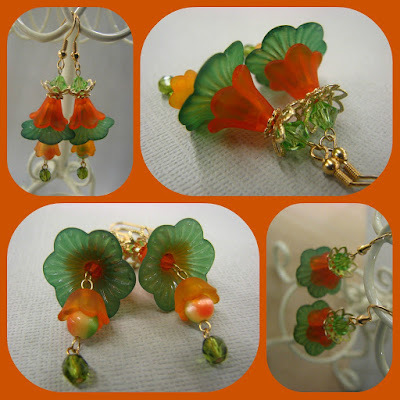 Post this giveway on your blog (earn 1 entry). Spread the word on a 3rd party social network, like Twitter and/ or Facebook (earn an entry for each). Entries will be accepted until November 3rd @ 11:59PM. The winner will be announced in our post on November 4th. 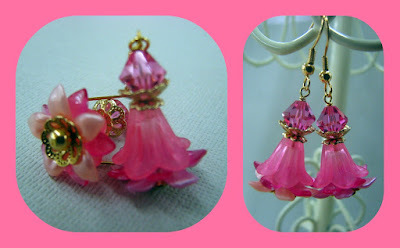 Prissy Pink Fairies are the earrings of the day. I've been told the flowers look like they have a little skirt on the bottom, very pink and pris. 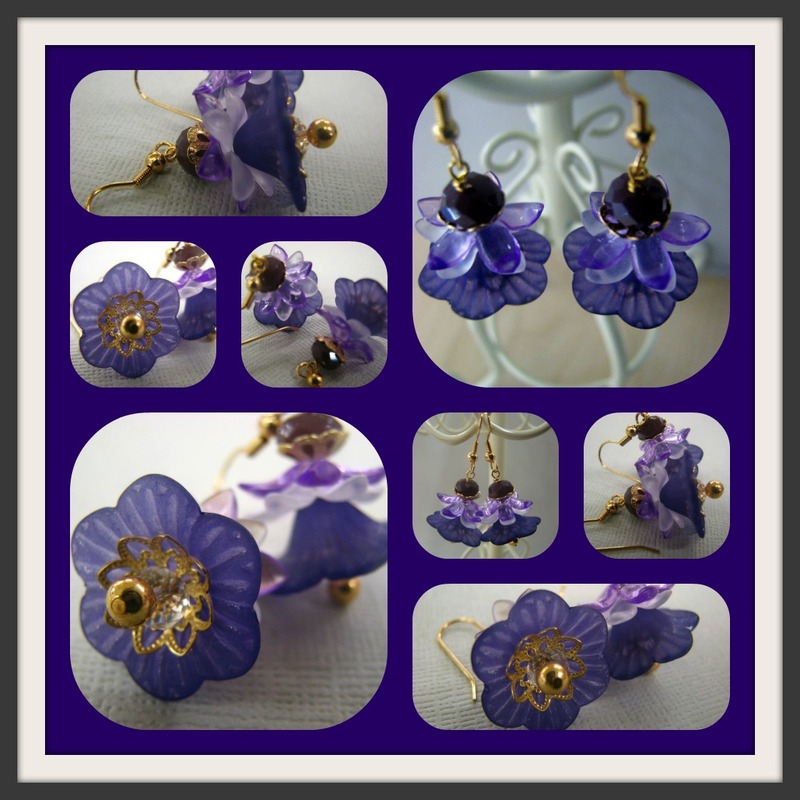 A lovely pair of beautiful flower earrings. 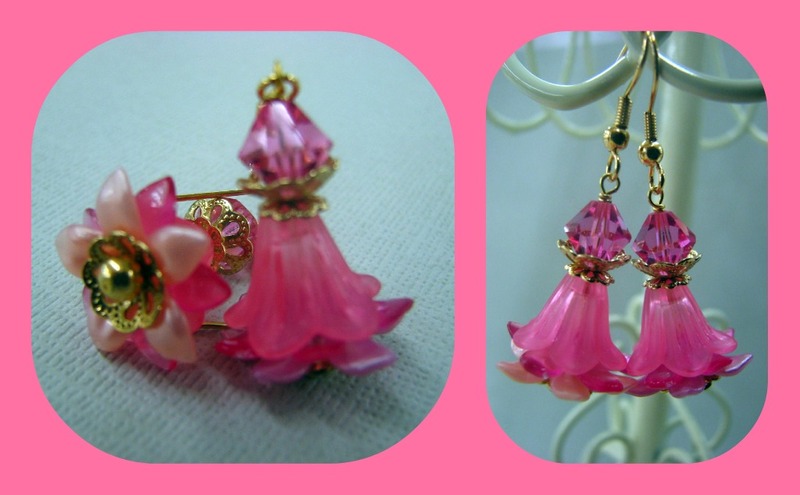 I wore these to work and everyone said they look like little fairies so I've decided to creat a line of earrings of Flower Fairies. I'm not sure of what name to call them but it will be something with fairies in the title. Do you know what these are made of...? 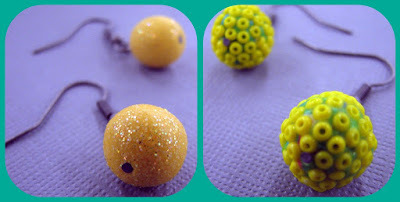 Polymer Clay! One pair has glitter and the other has seed beads embedded within the clay. I was experimenting in yellow. The crystals change color in different types of light.